The skin is a miraculous organ. Not only is it our largest organ, but it is also intimately connected to all of our other organs and systems of the body. For quite some time, conventional aesthetics taught that the skin performs five main functions: protection, temperature regulation, respiration, detoxification/elimination, and sensation. However whole body healing systems such as Ayurveda and Traditional Chinese Medicine also consider the skin an organ of digestion, and new research suggests that the skin may even have a role in blood pressure regulation. 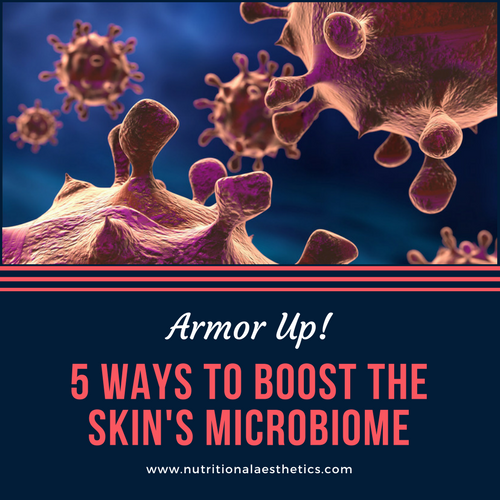 Today, let’s look at the function of protection as it pertains to its role in the immune system–specifically, the skin’s microbiome. 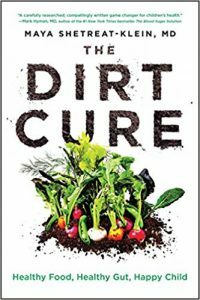 According to Dr. Maya Shetreat-Klein, author of The Dirt Cure (this is an affiliate link), and teacher from the NAA-sponsored Herbal Skincare Summit, it’s important to not just look at microbes on the skin and in the gut as “good guys and bad guys,” but rather, to promote a biodiverse microbiome. The more biodiverse microbes there are, the more they function as a system of checks and balances within the immune system. No one group gains too much power and becomes overactive inside the body or on the surface. 1. Minimize forced exfoliation. The outermost layer of the epidermis–the stratum corneum–which was previously considered to be just a layer of “dead” cells (keratinocytes), is now considered to play an important role in relation to the skin’s microbiome. They not only provide a “home” for these microbial guests; but they also benefit from their residence. According to the World Allergy Organization Journal, “skin microbiota play an integral role in the maturation and homeostatic regulation of keratinocytes and host immune networks with systemic implications.” Overexfoliation by either mechanical or chemical means not only disrupts the physical environment of the skin’s microbiome, but also compromises its barrier function, which has been shown to make the skin more susceptible to certain skin ailments. “Indeed, disturbances of the stratum corneum have been noted in allergic diseases (eczema and food allergy), psoriasis, rosacea, acne vulgaris and with the skin aging process.” So go easy with the scrubs, brushes, microdermabrasion, and peels! 3. Avoid the use of antibacterial soaps and hand sanitizers. For decades, “germs” were thought to be the cause of all disease. First came antibiotics, and then later, the rise of antibacterial soaps and hand sanitizers containing man-made chemicals such as triclosan, triclocarbon, and several other ingredients designed to kill pathogenic microbes in hopes of controlling outbreaks of influenza, staphylococcus, rhinovirus (the common cold), and more. However, what actually happened is that these compounds also killed the beneficial microbes, and were later found to be ineffective against many of the microbes (mainly viruses) they were intended to kill. Further, their overuse led to an increase in the prevalence of new and mutated strains of resistant bacteria such as MRSA and C-Diff, which now occur epidemically in places such as hospitals and schools. In 2016, the FDA banned triclosan, triclocarbon, and 17 other chemicals commonly used in antibacterial soaps and hand sanitizers. However, products containing them are still in circulation, and it is unknown whether what manufacturers are replacing these ingredients with will be any less detrimental to the skin’s microbiome. 4. Apply plant-derived oils to the skin regularly. Carrier oils such as sesame, rose hip, apricot kernel, and more (TIP: do a search for “carrier oil close up” in our sidebar for a list of blog posts featuring different carrier oils) are comprised of essential fatty acid chains that closely mimic those within the skin’s own lipid matrix. They also contain antioxidants, and prebiotics which help to nourish and protect the microbiome and the cells beneath. Oils also help to keep the skin hydrated by helping to seal moisture inside (they don’t actually hydrate the skin themselves since they contain no water), and prevent trans-epidermal water loss (TEWL) through evaporation, which prevents skin dehydration. When the skin becomes dehydrated, its barrier weakens; which, as noted above, interfere’s with the environment of the skin’s microbiome and makes the skin more susceptible to developing certain conditions. This also makes it easier for pathogens to enter into the body. 5. 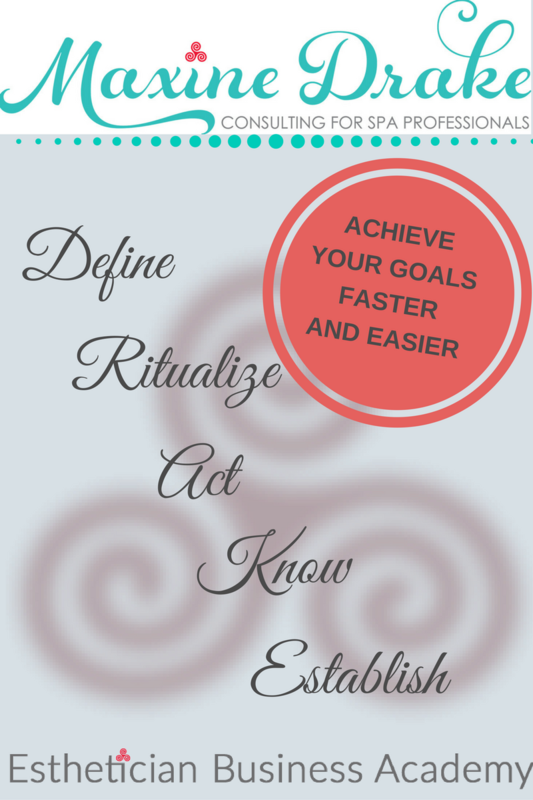 Use small batch, herbal skincare products topically. Mass produced, skincare products contain fewer ingredients that provide bioavailable nutrition to the skin and its microbiome. Many synthetic, and even some naturally derived, isolated “actives” may overstimulate the skin and cause irritant reactions or unnatural inflammatory responses, which is very disruptive to the skin’s microbiome. These products also contain very strong preservatives, as they also contain high amounts of water (which promotes microbial growth), and might sit on shelves in warehouses for several years before ever being sold. These preservatives, like the antibacterial compounds mentioned above, are intended to kill microbes. They do not distinguish between beneficial ones and pathogens. Products made in small batches, using herbal preparations, hydrosols, and carrier oils may contain no preservatives (this is only a good thing if the product is completely anhydrous or is packaged in single use, aseptic packaging), or natural antimicrobials which are less disruptive to the skin’s microbiome. 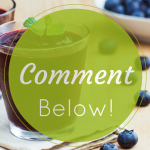 These products do have a shorter shelf life, but because of that, they are fresher, and the vitamins, minerals, antioxidants, prebiotics, and other phytonutrients are likely to be more intact, and therefore, more beneficial to the microbiome and to the skin itself. Research on the Human Microbiome is ongoing, and fascinating new information about the various role these microbes play in both health and how the skin and body age are consistently being revealed. The ramifications of this research are changing the understanding of what’s needed for healthy skin internally, as well as topically; and are challenging conventional beliefs that have been held for long periods of time. We must approach this research with curiosity, and be prepared for the fact that with new research comes the potential that what we once thought was good and true, may in fact, be incorrect. How has the revelation of the Human Microbiome Project affected your own belief system towards skincare, hygiene, or your aesthetics practice? Please share in the comments!